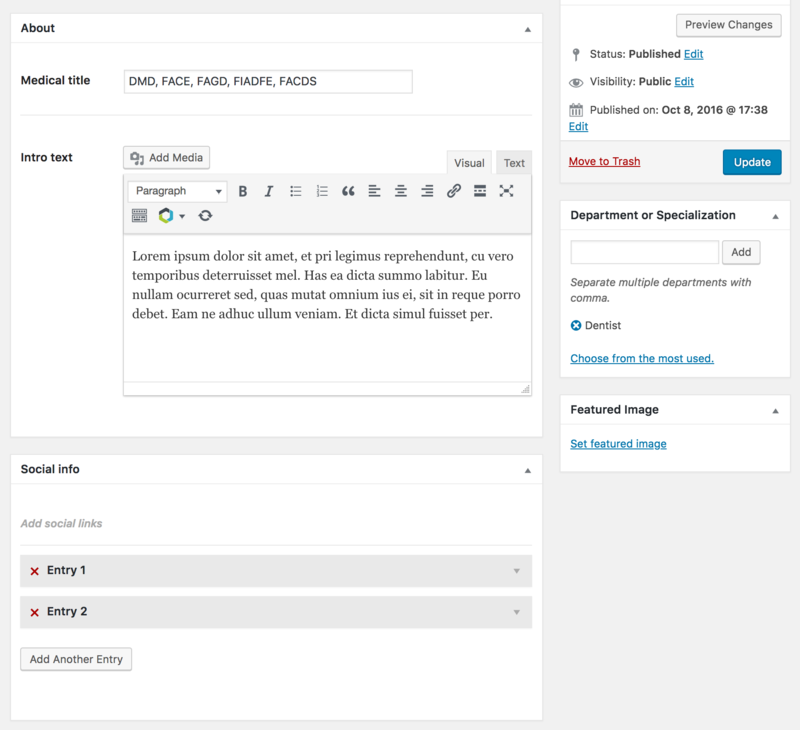 How to edit "Dr. Barbara Orion" part as its not showing in Live editor"
Below the regular WordPress editor area (not live editor), you'll find additional meta boxes (Header Settings, Page Title, Sidebars etc). You may need to scroll down a bit, till you get to the About section. This is where you can edit the intro text and the medical title.